Welcome Home. That’s the foundation that Camp Tioga is built upon. When you come through our front gate, you immediately feel that warm comfort of home. Home is where your family is, where you friends are, and where the best memories of your life are made. At Camp Tioga, you can be who you want to be, do what you want to do, and be a little wacky doing it! 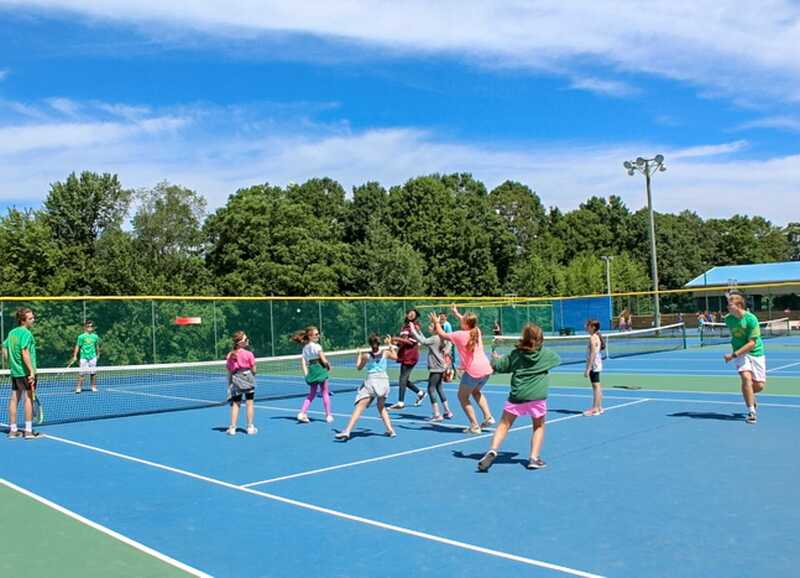 In our technology-free setting, founded in 1997, and family owned and operated, Camp Tioga welcomes home 300 campers each summer because we know that 300 is the perfect size for our family. Everyone knows your name, and from our owners all the way down to our youngest campers, we love watching each individual camper develop and grow from the beginning of the summer to the end, and from their first summer to their last. There is no better way to feel our culture than through our tradition night. Our whole camp sits down together in the center of camp weekly to have a night of fun, laughs, and of course, tradition. Our evening is spent watching performances by fellow campers, dance parties, and ice cream sundaes. Once the sun sets we reflect on the week that has passed with our weekly video (including some original flicks by our campers!) and end the night arms linked, singing our Camp Tioga Traditional song and enjoying fireworks. From our youngest campers to our oldest CITs, our whole camp is engaged start to finish, and looks forward to Tradition Night all week!